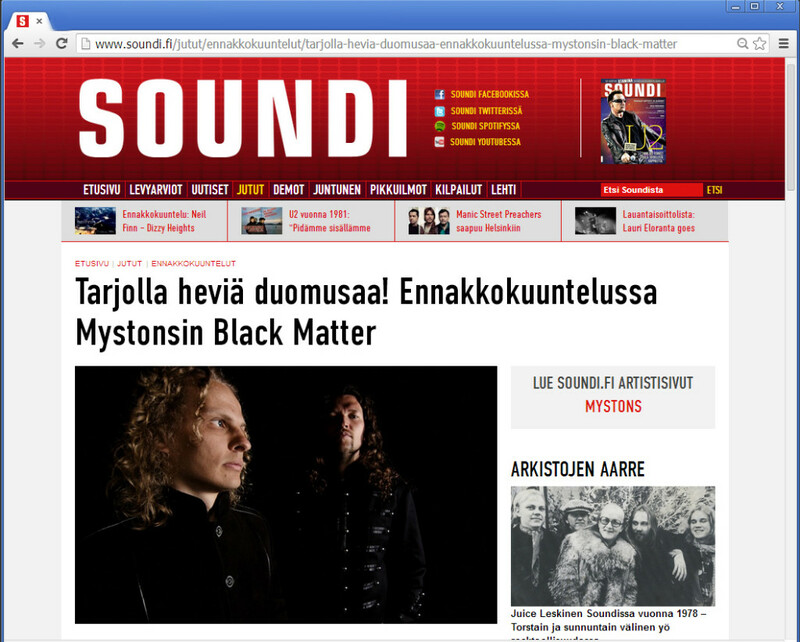 The new entire album “Black Matter” is now available for prelisten In The Finnish Rock Magazine Soundi. So buckle up and turn the volume to 11! Enjoy! The new album “Black Matter” will be released Feb 14,2014 by V.R. Label Finland, distributed by Playground Music Scandinavia. FIRST SINGLE & MUSIC VIDEO will be released Jan 14, 2014. DIGITAL ALBUM will be available in Itunes, Spotify etc. We did a hell of a job in the studio with producer Hiili Hiilesmaa and he managed to push us into a whole another level. We are proud to say that the new album is our best so far. 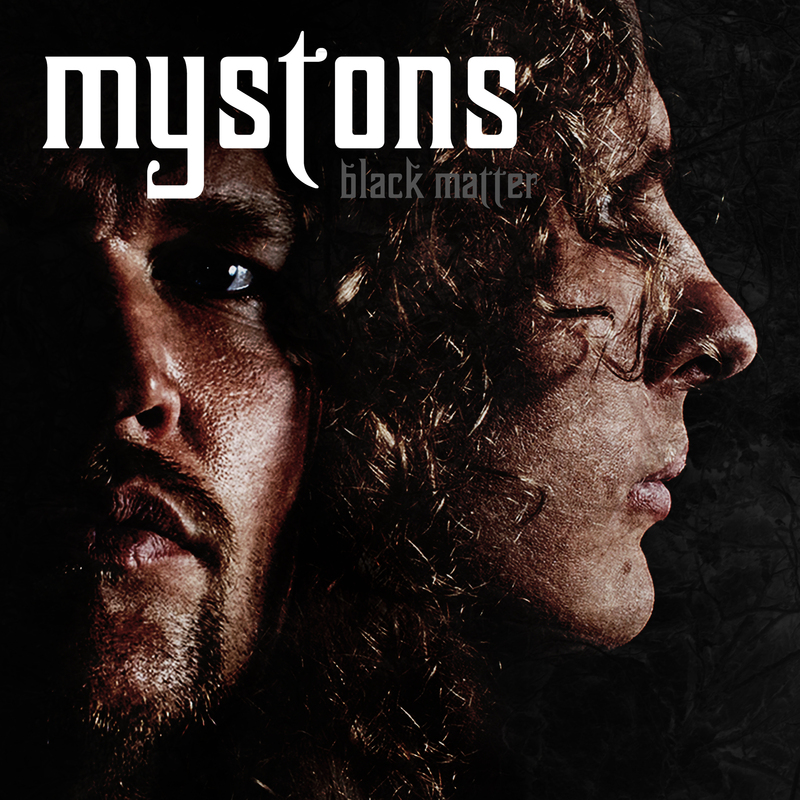 “Black Matter” will take you to the unique woods of Mystons. It’s all about Stoner Rock & Doom Metal with a Vintage Rock vibe. Imagine the heaviness of Black Sabbath, darkness of Danzig, intensity of Led Zeppelin & psychedelia of Monster Magnet topped with Simon & Garfunkel like vocal harmonies and you got a clue what the new album is about. Pre-listen coming on Feb 7. Enjoy!